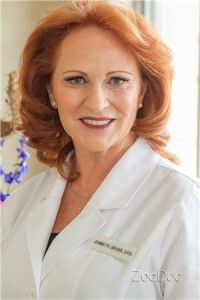 Good morning everyone, I’m Dr. Jeannette Grauer and for the past 20 years I have run a successful cosmetic and Implant private dental practice in Union, NJ. A native of Uruguay, I attended dental school in Montevideo, Uruguay subsequently completing a residency in Endodontics and a postgraduate program in Orthodontics. I also hold a D.D.S from the Columbia University School of Oral and Dental. Recently in 2010 I completed a… postgraduate program at NYU… As well fluently speak Spanish, Portuguese, French, Hebrew, Yiddish, and Italian with the reading and writing capabilities for Spanish and Portuguese. My vision for my practice is to be able to perform healing, reconstructive and cosmetic services to a diverse staff that will carry the same vision and deliver it to the patients. I have received several awards: Columbia University College of Dentistry Distinguished Alumnus, True Hispanic Pride Top Dentist for Cosmetic Dentistry, The Columbia University Alumni Magazine and The Journal of The New Jersey Dental Associations and El Diario Banda Oriental. As a passionate and driven individual in my community I involve myself in multiple organizations serving the needs of families, women and children here and abroad. Following suite, I am also the founder of the Amazon Dental Projects – a non-profit grassroots volunteer program bring sustainable healthcare through resources that are culturally and environmentally respectful in partnership with native Amazon medicine people and bringing teams of dentists and auxiliaries to provide dental care in the Amazon area. Here in the United States, I provide free dental treatment for woman that have been victims of acts of violence and need to re-enter the work force. For the past 15 years I have participated in Donated Dental Services Humanitarian program for the disabled, elderly and medically compromised. Also, I serve on the advisory board of several organizations including The Alliance for Racial and Social Justice. 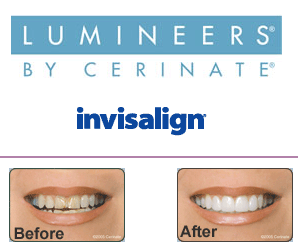 Awarded America’s Top Dentist for Cosmetic Dentistry by the Consumer’s Research Council of America. Member: Academy of General Dentistry. 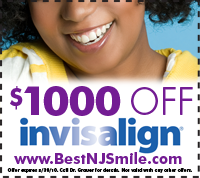 Member: New Jersey Dental Society. Post-Graduate Comprehensive Aesthetic Dentistry, New York University.